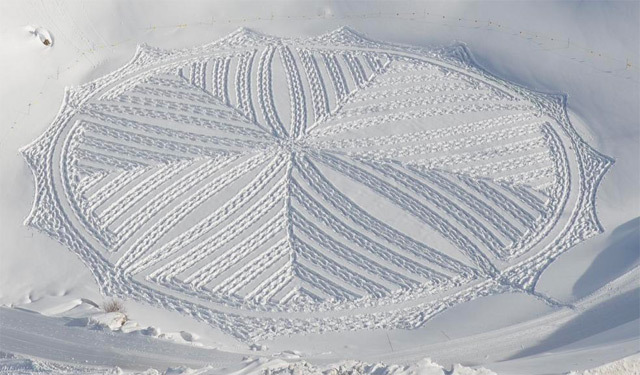 Since 2004 England-based Simon Beck has strapped on a pair of snowshoes and lumbered out into the the freshly fallen snow at the Les Arcs ski resort in France to trample out his distinctly geometric patterns, footprint by footprint. 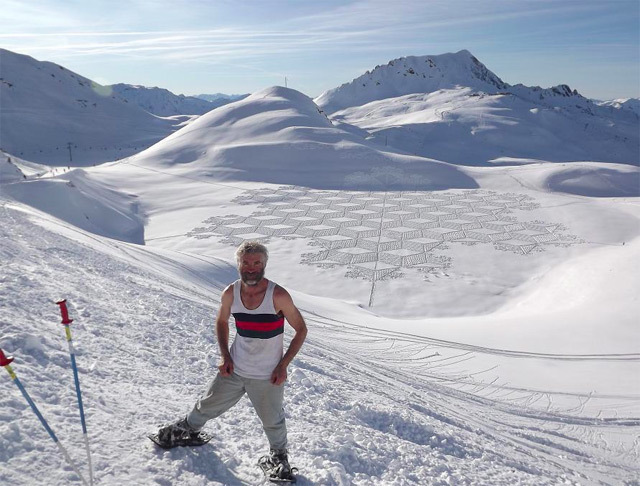 Each work takes the 54-year-old artist anywhere between 6 hours and two days to complete, an impressive physical feat aided from years of competitive orienteering. Huge respect to Christopher Jobson for Tweeting this on Christmas Morning. Cheers to him and Happy Holidays to all! All that in a tank top!